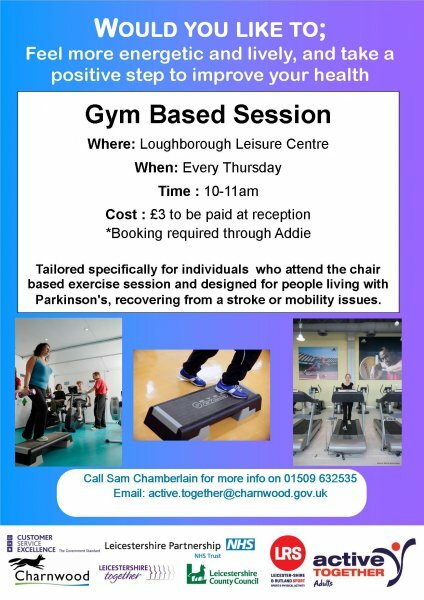 Come and join in our weekly session in the gym. Ran in partnership with the local Parkinson's support group it is primarily aimed at people with Parkinson's, but also open to anyone with restricted mobility. This is session is open to public, but we ask for new participants to contact the team first to discuss and to enable us to let the instructor know in advance.